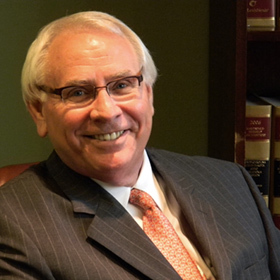 Chuck Banks has been privileged to serve the people of Arkansas as a trial lawyer for 39 years. His professional life has been devoted to the principal of a citizen’s constitutional right to trial by jury. Having tried over 250 jury trials, Chuck is dedicated to the jury system. Chuck Banks regularly tries complex cases in United States District Court, Eastern District of Arkansas, involving people charged with federal crimes. He has been fortunate to represent a spectrum of individuals who have been indicted by a United States Grand Jury including other lawyers, engineers, law enforcement officials and business owners. Because he comes from a long farm background, Chuck has been able to concentrate a portion of his practice over the last few years in agricultural trials. He successfully represented rice farmers all across the state in relation to losses sustained from genetically modified rice seed. From 1988-1993, Chuck had the honor of being nominated by President Ronald Reagan and serving as the United States Attorney for the Eastern District of Arkansas (Little Rock).